The capital of Slovakia was not supposed to be on our tour, but due to some loch work, we took a welcome detour to this interesting city. 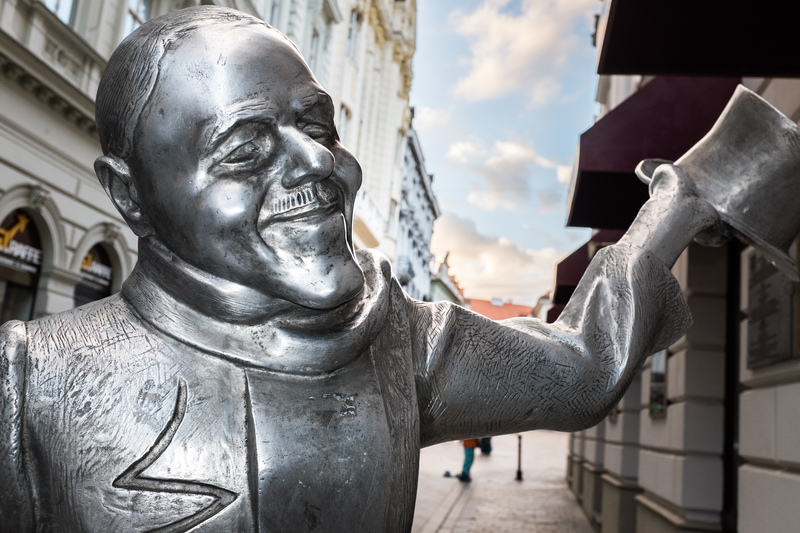 The rest of the images from Bratislava can be seen here. I’ll take the hot chocolate, please! Kelly, you don’t look very happy with your choice. Cindy – that was the THICKEST hot chocolate I’ve ever had! In addition there was rum and hazelnuts in it with a side of cream. Needless to say I made it through about half the cup, I’m sure I was thinking that this will keep me up all night! Happy Halloween!